In 2018, Bell dropped the “helicopter” from its name and adopted a dragonfly as its logo to emphasize a move away from traditional rotorcraft toward new, innovative means of vertical flight. That same impulse drove Bell to use the Consumer Electronics Show, rather than an aviation industry event, as the venue for rolling out its new Nexus electric vertical takeoff and landing (eVTOL) aircraft, which should be ready to ferry passengers above clogged city streets by the mid-2020s. Bell unveiled the basic fuselage design at the 2018 Consumer Electronics Show, but “kept the flying bits to ourselves,” according to Scott Drennan, the company’s vice president of innovation. 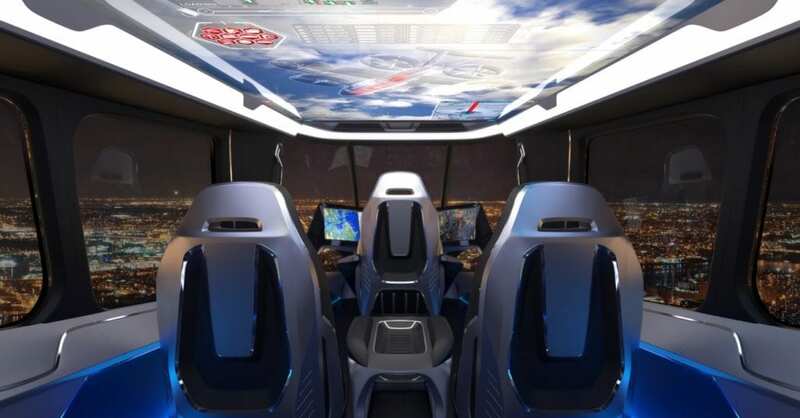 At this year’s CES in Las Vegas, Bell unveiled a full-scale model of the prototype, creating much social media buzz and drawing the likes of Kanye West to sit in the blue-mood-lit cockpit. Six ducted fans, each eight feet in diameter, are arranged with two attached to the fuselage forward, two attached to the fuselage aft and two at the end of stub wings. Each fan can rotate forward to provide thrust and lift in forward flight. Each fan is powered by its own direct-drive electric motor that is in turn powered by a direct-current electrical distribution system, so “it’s wires going out to the fans as opposed to shafts,” according to Kyle Heironimus, the innovation engineer in charge of developing the Nexus propulsion system. Direct drive motors eliminate the need for gear boxes, simplifying the propulsion system. 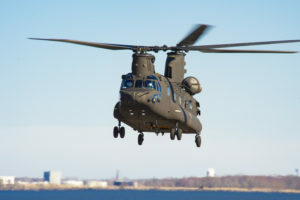 Ducts also will help a wider user base, including commuters who are not familiar with rotorcraft, to more easily adopt the technology, which is essential for scaling the transportation model, Drennan said. Nexus fits in a 40x40-foot box, which means it is “no toy” and hits a sweet spot of size, weight, power and carrying capacity, Drennan said. A typical 5-place helicopter will fit inside a box measuring 37 square feet. With a four-plus-one passenger configuration driving the design, the aircraft weighs in at about 6,000 pounds rough gross weight. 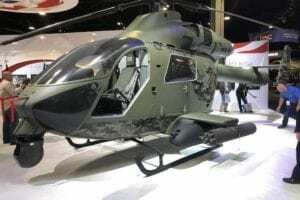 The model displayed at CES is the only example built so far, but the company is proceeding on a speedy development and test schedule that should see an operational air vehicle on the nearer end of the next decade. 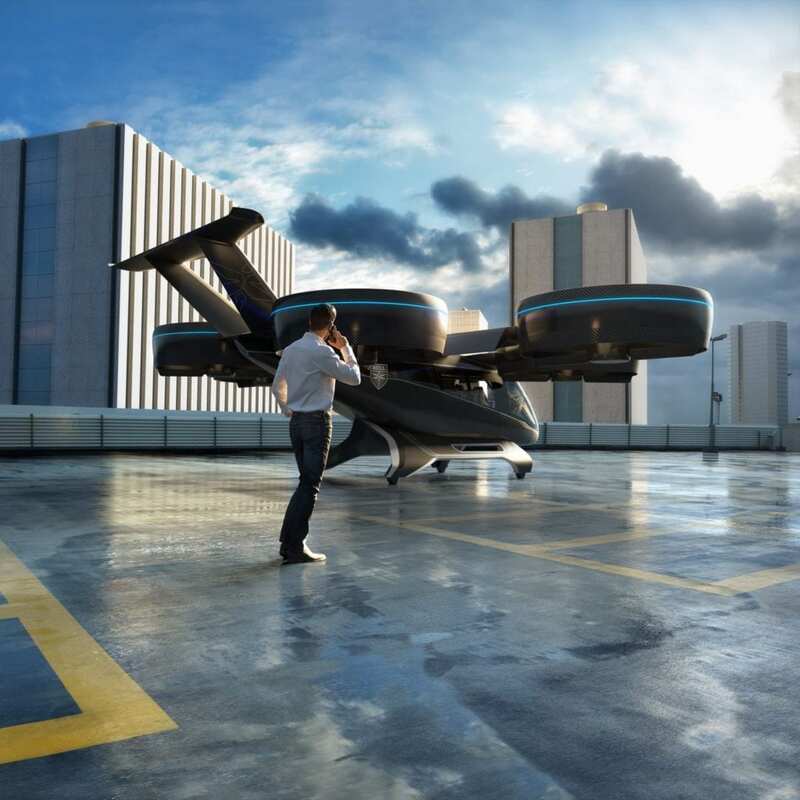 Out of the gate, Nexus will run on a hybrid-electric propulsion system specifically designed for the urban air mobility mission, according to Heironimus. Nexus includes a centerline-mounted turbine engine turning an electric generator that produces direct-current electricity. That power is distributed through a redundant power control system that delivers power to all six ducted fan motors. While it’s doing that, the turbine is also feeding a high-power energy storage system — essentially a battery — that provides redundant and dissimilar power. “What that means is we have an extra amount of power on board available to the vehicle when it needs it and … it is sized such that if there were to be an unlikely event of an in-flight shutdown of the engine, the vehicle can land safely under its own power,” Heironimus said. That solved the issue of not having autorotation capability in the event of an engine failure, Drennan said. An automated power control system optimizes the power distribution for efficiency during various flight modes. The battery — Bell is working with a lithium-ion-based cell, but may use a different chemistry for the operational aircraft — is both high-energy and high-power so it can provide the raw lift needed for vertical takeoffs and landings and then the energy needed to power forward flight. “Only very recently are we getting to the place where batteries are reaching both the power and energy densities necessary to enable this mission,” Heironimus said. Occupant safety was the primary driver in designing the propulsion system. 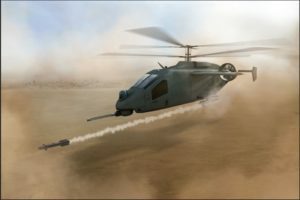 Distributing the propulsion system allows for redundancy of the propulsors and the use of components that are less complex and more affordable than those required in traditional helicopters. 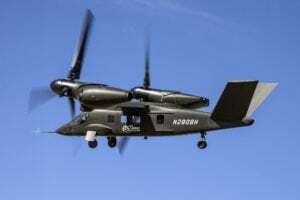 Bell settled on a hybrid-electric propulsion system to provide mission flexibility, but has not shut the door on potential all-electric — battery or fuel cell — configurations. All other components of the propulsion system — fans, motors, generators, electronics, control system — would carry over into an aircraft with a different power generation system, Heironimus said, adding that a hybrid system is more complex than an all-electric system. Safran built a bespoke hybrid-electric test stand to develop the propulsion system for VTOL applications before the company partnered with Bell. Nexus also features a highly integrated control system that uses the ducted fans to control flight. Pitch, yaw and roll are controlled by the motors powering the ducted fans, which become primary control surfaces. Because the control system is fly-by-wire, it allows for varying degrees of autonomous control, including a fully robotic aircraft or a combination of automation and piloted control. Piloted at first using fly-by-wire controls, the aircraft is being built with full autonomous capability so it can transition to robotic flight “to really make the business case hum,” Drennan said. 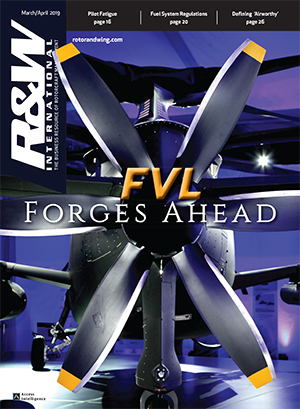 A vehicle management computer (VMC), the “brain” of the aircraft will reduce pilot workload by automating certain functions, including modulating power from the engine and battery, communication with ground-based infrastructure and air traffic management. 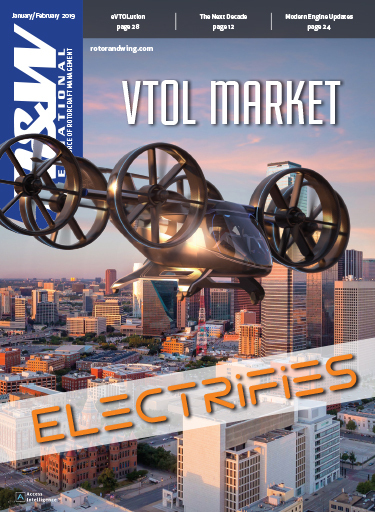 Facing an increasingly dire pilot shortage, the existing aviation industry will be hard pressed to provide enough pilots to meet the demand for urban mobility once it gets off the ground, Drennan said. Also for safety and affordability reasons, autonomy will play a key role in making the experiment become a widely accepted mode of transportation, he said. The seed could begin to germinate within six or seven years, if all of the regulatory, economic and technological pieces fall into place. 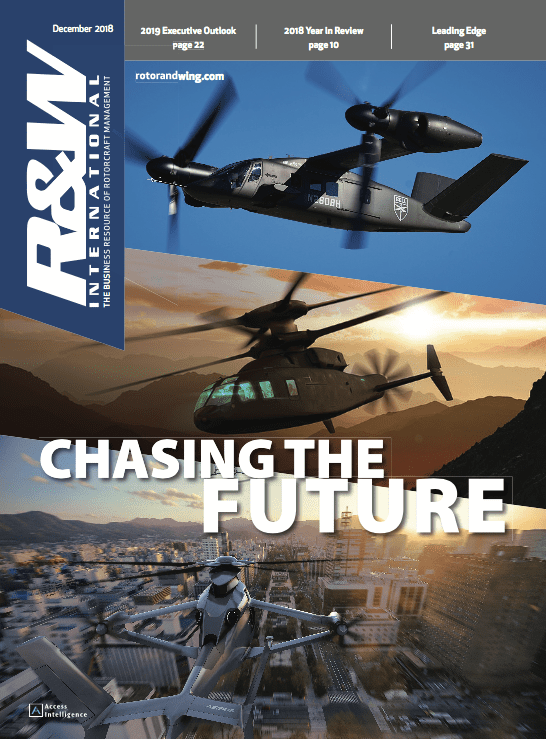 It is such a complex nut to crack that Bell is coming at urban air mobility from more than just an air vehicle. To create an entire urban mobility “ecosystem,” the company and its partners have identified four avenues of approach: operational, regulatory, manufacturing and technological, Drennan said. 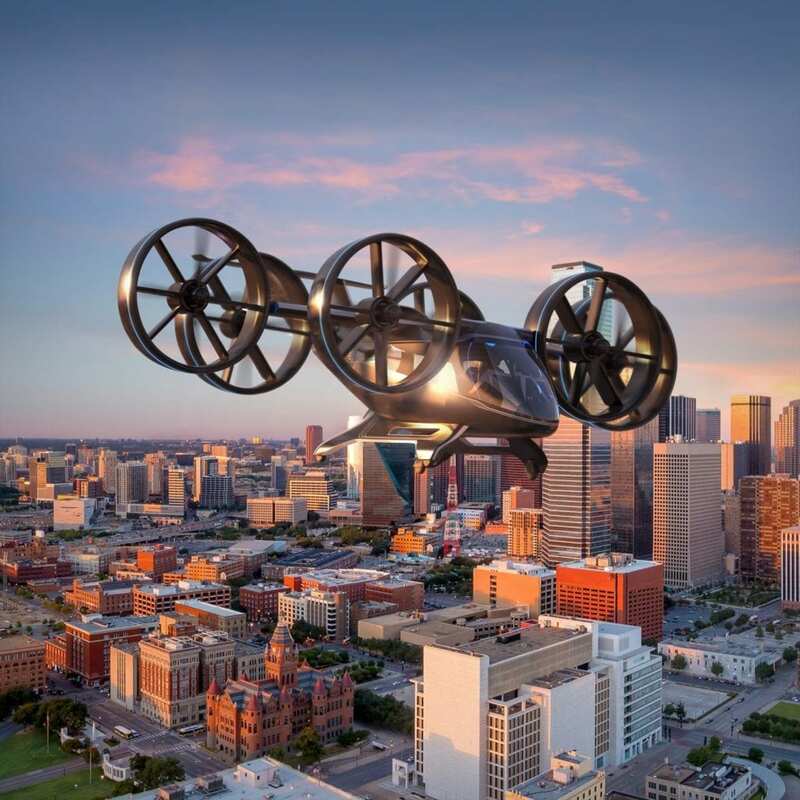 Cities were designed to be three-dimensional spaces that incorporate aircraft, but until now have been limited to terrestrial transportation options, Drennan said. Bell has slowly announced its technology suppliers over the past year. The company has not yet named an airframe manufacturer, but may take on the work itself, Drennan said. Team Nexus includes Safran, EPS, Thales, Moog and Garmin. 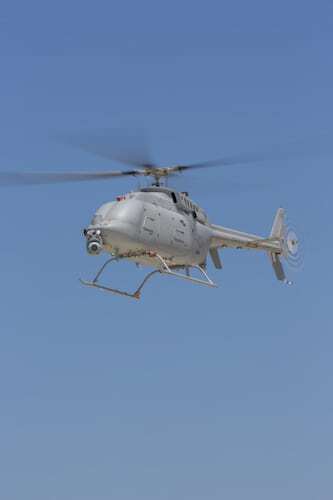 Bell will lead the design, development and production of the VTOL systems. Safran will provide the hybrid propulsion and drive systems, EPS the energy storage systems, Thales the Flight Control Computer (FCC) hardware and software and Moog the flight control actuation systems. Garmin will integrate the avionics and the vehicle management computer (VMC). The tallest hurdle that team must clear is making believers of the aviation industry and the traveling public that air taxis are a safe, affordable, realistic alternative to ground transportation. 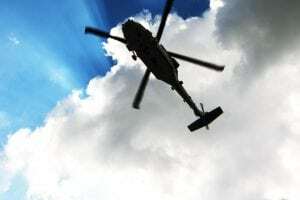 Helicopters have been moving people and cargo from place to place for decades, but creation of a viable urban mobility sector will require dedicated aircraft specifically designed for the mission as well as regulatory changes and ground-based infrastructure. “We really have to believe that we can make this happen and this will become true,” he added.